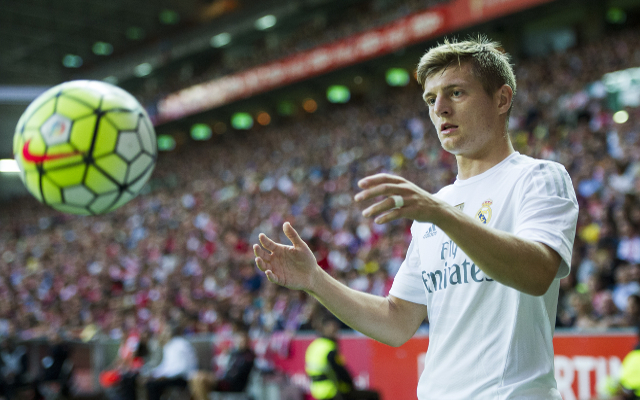 The reason why Toni Kroos decided to leave Bayern Munich has been unveiled by a long-time friend of the midfielder, much to the shock of the German outfit’s fans. When discussing contract terms in the summer of 2014, club CEO Karl-Heinz Rummenigge refused to give Kroos more than £10m a year because he didn’t think he was a “world-class player,” so ex-Bayer Leverkusen midfielder Stefan Reinartz says. At this point, Reinartz claims, Kroos knew it was time to leave the Allianz Arena, having just won the World Cup with Germany a month prior. The German international soon after made a switch to Spain as a £20m bit from Real Madrid was accepted. The 27-year-old has since gone on to to win two more Champions Leagues (in addition to the one he won in 2013 with Bayern), two FIFA World Club cups and a La Liga title with Los Blancos.